Mataró is home to one of the most famous Easter celebrations in Catalonia. There are around twelve events in total, with processions and parades by various brotherhoods and other associations, including the Armats de Mataró, a legion of Roman soldiers! 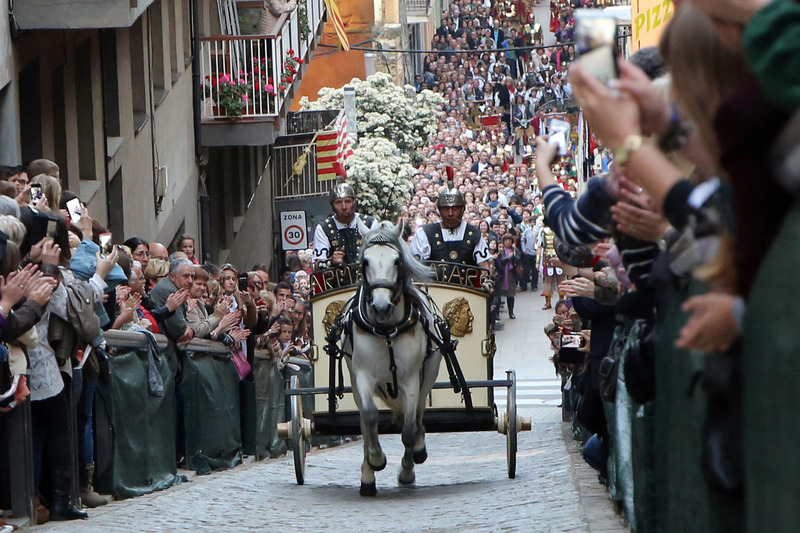 One of the most outstanding events is the Arrest of Jesus procession, on the afternoon of Palm Sunday, a popular stretch of which is the Baixada de les Escaletes, where the participants run up the hill. Other worthwhile events include the Armats’ parade through the streets of Mataró and their homage to the city on Maundy Thursday, then the General Procession, considered part of Mataró’s Cultural Heritage, on Good Friday, which involves participation from all the city’s brotherhoods, associations and the Armats.